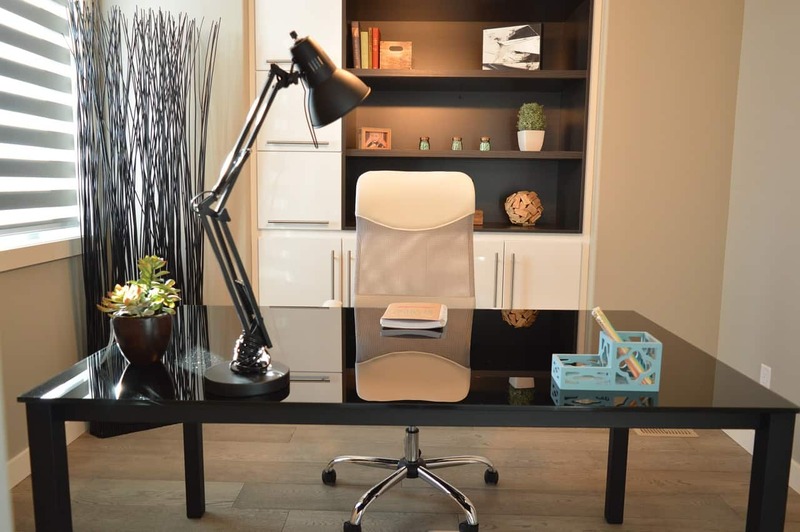 Home >> Interiors >> Furniture >> 10 Types of Desks Most Suitable for Your Needs! Who doesn’t need a desk? This furniture is the most essential in any household, and needed by many to perform their task, from writing, drawing, working on a computer, and maybe even for your cat’s lap dance stage! Desk, like any other furniture, is designed purposely to match your needs, be it small, large, independent, hanging, or anything else. There are many types of desks designed and available in the market that make them the most practical furniture at home and office. A desk may fit one’s taste and sense to fulfill the decorative purpose, but unable to serve both practicality and functionality–or vice versa. So, how to choose the right desk for the right home and the right task? A desk can be single pieces, or two pieces joined together that is used to work and play, but its purpose is dedicated to meet specific activity. They are made to fit various categories, built from different materials, ranging in styles and designs. While the options may be overwhelming, the initial stage before buying a desk is to review your personal need. What do I need a desk for? Do I need it small or large? Does it have to look pretty? So the question goes on with only you can answer. After going through several times of considering, the following types of desks may fit into your preference, looks, and function accordingly. The first thing is the simplest and most basic type of desk available in the market. A writing desk is made in the minimalist design, advanced in simplicity with few storages and large desktop area. It is designed in a most conservative style to match any room decor, and suitable to be placed in the center of a room or against the wall. In general, a writing desk functions best when you work with a laptop instead of a desktop computer. The types of desks will be very useful in a home office setting, particularly if you do working at home on a regular basis. Computer desks boast the same simplicity as the writing desk, only provide a larger surface area for your monitor, computer’s hardware, and other peripherals required. Two major key elements of a computer desk are the keyboard slot right underneath the surface and storage for the CPU. You don’t have to find one with the same design, really, because the CPU can be placed on the floor, while a virtual keyboard is now on the rise. So, the point is to find one that will accommodate your device’s measurement. You see that solid thing standing in the center of your boss’ room? That’s the desk. Serving both function and look, an executive desk is the masterpiece of a home office furniture. It offers many drawers, storage space, and a large surface for your working area. This type of desk is made to fit all period regardless of the style, beautifully carved to give an impression of elegance and grandeur appeal. Some executive desks are also equipped with footrest for more comfort. Suppose you have a large spare room, a credenza desk can sit beautifully as the center of attention. This desk serves both function and decorative purpose since it’s made as a combination between a desk and a cupboard with one or two storage stands. Many people value this desk for its benefits. A credenza desk is best to fit your living room or dining room decoration so more people can access its storage area and use the desktop to write a note or anything that may come up in mind anytime. As the name implies, a corner desk is deliberately designed to fit your corner room area. It has the L-shaped design–most of it, really–and serves as a remedy for the small homeowners. It saves space yet performs the function in a most effective way. The corner desk allows you to elaborate works on the surface area, because although it may look limited, its length gives you freedom for more configuration, depending on the needs. Originally, a secretary desk is carefully designed to give a luxurious look that also serves practicality. It is equipped with a desktop area that is hinged along with in-turn bookcase, and many drawers for storage. A secretary desk is usually a single stand-out masterpiece made of solid wood, heavy furniture that gives away the formal accent of a room. Also known by the name of the wall-mounted desk, a floating desk is another champion in small-size house. It operates well in a small-sized house yet capable of serving function perfectly when carefully mounted on a designated area. With the desk styles, the floor space is all yours but remember no drawers are available. They are, in most cases, come with small shelves to store books or a small decorative plant. The floating desk is perfect for your bedroom or dorm. It’s a type of large writing desk with many drawers and storage system space, allowing you to have a large writing area with comfort. Some argue that the roll-up desk belongs to the antique shop, made since the 18th century and is the table of royals. Well, that’s not entirely true because you may acquire the desk brand new from the store. Despite serving the function at its best, this desk also makes a luxurious touch in your master bedroom decoration. Similar to the L-shaped desk, the U-shaped desk offers more possibility when working on the desktop. With its creative design, it offers a larger working area on the surfaces serving as the main desk, a bridge, and a buffet for maximum storage. The growing popularity of the standing desk is not without reason. While some say that sitting is the new smoking, this type of desk offers what you call as a healthier alternative of “chained to the desk”. The office desk styles mostly come in three different adjustable design, allowing you to work at your regular standing up, a desk that can be lowered or raised, or a static construction in the raising position. With the many numbers of design, the types of desks also come in different materials. The most common desk materials are wood, metal, glass, or plywood that give a different finished look. While your preference is the only one that matter when choosing the right working surface, now you already have the list of the best 10 desktops to put into consideration. Pick of the bunch!